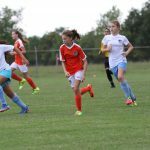 Welcome to Dynamo | Dash Youth South! 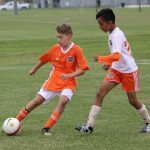 Dynamo | Dash Youth Soccer Club provides Youth Academy and Competitive Soccer programming in Space City, Friendswood, League City, Clear Lake and surrounding areas for both boys and girls. Recreational – for players born in 2016-2001. Enjoy a fun introduction to soccer, professional training for players, and education for volunteer coaches. 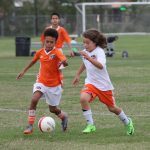 Dynamo | Dash Youth – South operates at multiple fields in the Friendswood, League City and Clear Lake communities. Randy Evans is the Director of Coaching for the South program and can be contacted using the buttons below.